The undersigned is directed to say that in accordance with para 4.2 of this Department’s OM No.38/37/08-P&PW(A) dated 1.9.2008 (as clarified vide OM dated 3.10.2008 and 14.10.2008), the revised pension of pre-2006 pensioners shall, in no case, be lower than fifty per cent of the minimum of the pay in the pay band plus the grade pay corresponding to the pre-revised pay scale from which the pensioner had retired. In the case of HAG and above scales, this will be fifty per cent of the minimum of the revised pay scale. 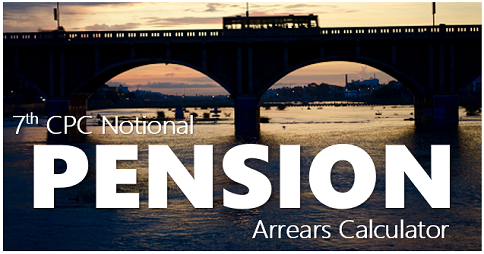 Further, in accordance with OM No.38/37/08-P&PW(A) dated 28.1.2013, the normal pension in respect of pre-2006 pensioners/family pensioners as revised w.e.f. 1.1.2006 in terms of para 4.1 or para 4.2 of the aforesaid OM dated 1.9.2008 would also be further stepped up w.e.f. 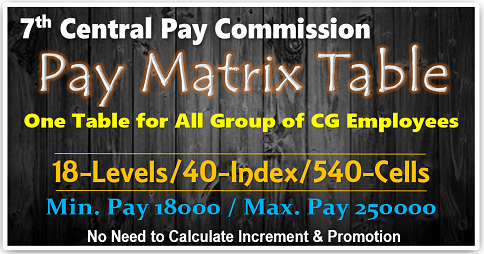 24.9.2012 to 50% of the sum of minimum of pay in the pay band and the grade pay corresponding to the pre-revised pay scale in which the Government servant had retired, as arrived at with reference to the fitment tables annexed to the Ministry of Finance, Department of Expenditure OM No.1/1/2008-IC dated 30th August, 2008. 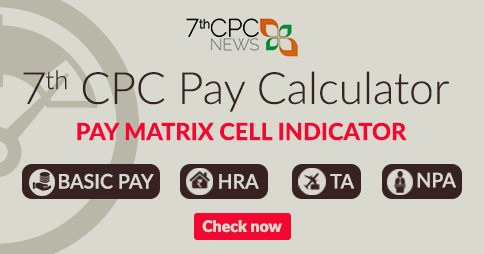 In the case of HAG and above scales, this will be 50% of the minimum of the pay in the revised pay scale arrived at with reference to the fitment tables annexed to the above OM dated 30.8.2008 of Ministry of Finance (Department of Expenditure). 2. In its judgment dated 27.11.2013 in Civil Appeal No.10640-46/2013 and other connected matters, Hon’ble Supreme Court observed that in accordance with Ministry of Health and Family Welfare’s OM No.45012/11/97-CHS.V dated 7.4.1998, NPA counts as pay for all service benefits including retirement benefits. 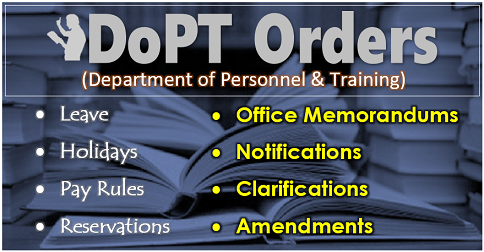 In implementation of the aforesaid judgement of Hon’ble Supreme Court, orders have been issued vide this Department’s OM No.38/31/11-P&PW(A)(Vol.IV) dated 14.10.2014 read with OM dated 21.10.2014 that in the case of pre-1996 retired medical officers, NPA @ 25% shall be added to the minimum of the revised scale of pay as on 1.1.1996 corresponding to the pre-1996 pay scales from which the pensioner had retired, in cases where consolidated pension/family pension was to be stepped up to 50% / 30% respectively of the minimum of revised pay-scale in terms of OM No.45/10198-P&PW(A) dated 17.12.1998 read with OM No.45/86/97-P&PW(A) (Pt.) dated 11.5.2001. 3. In this Department’s OM of even number dated 14.7.2009, it was clarified that in the case of pre-2006 pensioners, Non-Practicing Allowance is not to be added to the minimum of the revised pay band+Grade Pay/revised pay scale in cases where consolidated pension/family pension as on 1.1.2006 is to be stepped up to 50% / 30% respectively in terms of para 4.2 of Department of Pension & Pensioners’ Welfare OM No.38/37/08-P&PW(A) dated 1.9.2008 (as clarified vide OM dated 3.10.2008 and 14.10.2008). 4. In the OM No. A.45012/2/2008-CHS.V dated 29.9.2008 of Ministry of Health & FW, it is provided that NPA will be treated as pay for the purpose of computing Dearness Allowance, entitlement of Travelling Allowance and other allowances as well as for calculation of retirement benefits. Therefore, the ratio of the said judgement dated 27.11.2013 in CA No.10640-46/2013 would be applicable for revision of pension/family pension of pre-2006 retired civilian medical officers w.e.f. 1.1.2006 also. Accordingly, the OM dated 38/37/08-P&PW(A) dated 14.7.2009 is hereby withdrawn. 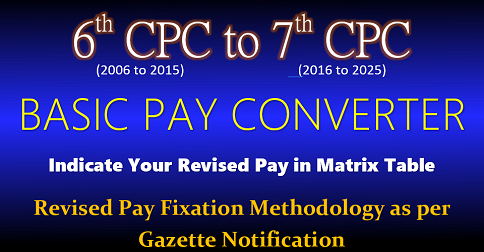 In the case of pre-2006 retired medical officers, NPA @ 25% would be required to be added to the minimum of the pay in the revised pay band plus grade pay (or minimum of pay in the revised pay scale in the case of HAG and above) as on 1.1.2006 corresponding to the pre-revised pay scale from which they retired, in cases where pension family pension is to be stepped up to 50%130% of the minimum pay respectively. 5. 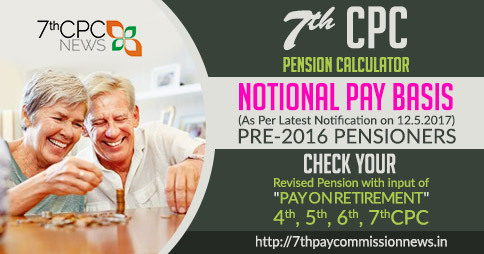 Similarly, for revision of pension family pension w.e.f. 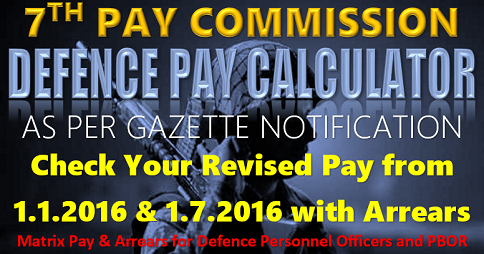 24.9.2012 in terms of OM dated 28.1.2013, NPA @ 25% would be required to be added to the minimum of the pay in the revised pay band plus grade pay (or minimum of pay in the revised pay scale in the case of HAG and above) corresponding to the pre-revised pay scale from which they retired as arrived at with reference to the fitment table annexed to the Department of Expenditure’s OM dated 30.8.2008 subject to the condition that the basic pay plus NPA does not exceed Rs.85,000/- . 6. This issues with the approval of Ministry of Finance, Department of Expenditure vide their I.D. No. 7211E-V/2014 dated 2.1.2015 and Ministry of Law F.No.213/Advice’A’/2015 dated 29.1.2015. I am a ex junior commissioned officer retaired on 30th Nov 1996. My JC no is JC-640253 P. NB SUB CLK GD SANDIP BANERJEE of ASC REC SUPPLY. After applied several times through ZILA SAINIK BOARD KOLKATA vide their letter no 16/4/78 dated 02 February 2018. Neither ASC Records supply and nor controlar of defence pension office Allahabad has still been intimated to me that what was my actual pay at the time of my retirement i.e. 30 November 1996. and no any documentary proof has been received by me from this office’s still today till requesting. keeping in view of above it is shered that whether an Indian Army’s JCO has been treated this shameful behaviour from the above offices then other ex servicemen how do fill behave from their own regiment records as well as pensions department.